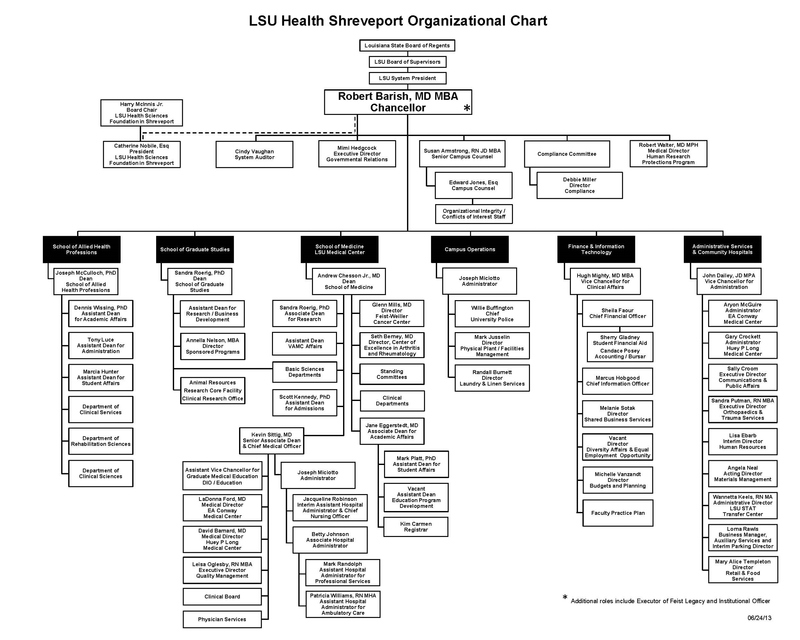 It is the responsibility of faculty members to read and become familiar with the Louisiana Health Sciences Center at Shreveport (LSUHSC-S) Faculty Handbook. Although every effort is made to keep information and links in the Faculty Handbook up-to-date, faculty members should consult the referenced material to ensure accuracy. The term “employee” means academic employee or faculty member. The term “Medical Center” means Health Sciences Center. The term “Bylaws” means LSU Board of Supervisors Bylaws and Regulations. Generic masculine pronouns such as he/him/his are used when addressing an “indefinite” or “undefined” individual and are used to address both male and female when the gender is unknown. All faculty members are responsible for adhering to University regulations, as set forth in this Handbook, the LSU Bylaws and Regulations, LSU System Permanent Memoranda, and Chancellor’s Memoranda. Changes in policies that arise after the publication of the Handbook will be disseminated in writing or electronically to the LSUHSC-S community. Policy changes will be circulated by individual Deans and Department Heads to their respective faculties. Questions about interpretation of policy statements should be submitted to the Department Head, the Dean, or to the Chancellor’s Office for clarification. The terms and provisions of this Faculty Handbook are subject to change by the Board of Supervisors of the Louisiana State University and Agricultural and Mechanical College and are effective as of the date amended unless otherwise stated.